When it comes time for you to get a new fence, you should know that vinyl fences are stronger, more durable, and better-looking than wooden and metal fences. You should also know that not all vinyl fences are the same. Differences in vinyl quality and fence construction can have a large impact on how strong your fence is and how long it lasts. 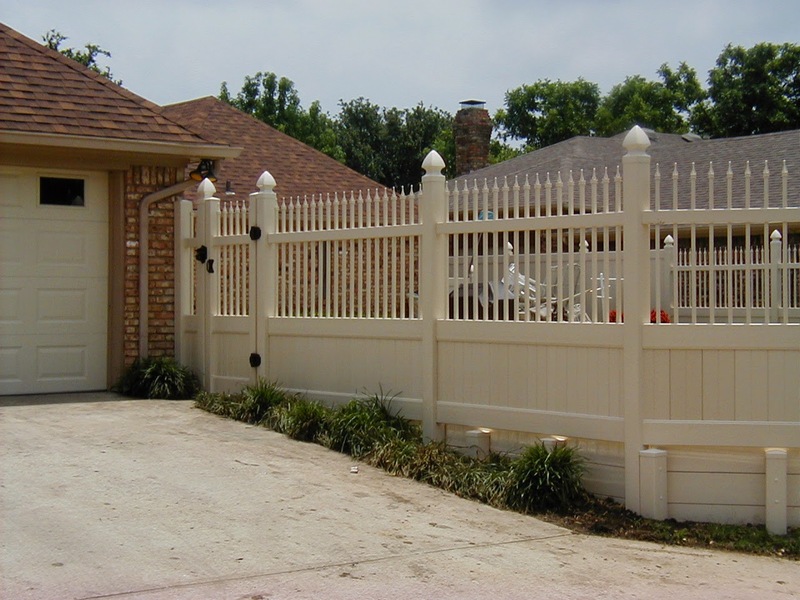 There are several factors that can affect the quality of vinyl used in a fence. Two of the biggest are the addition of impact modifiers and UV protectants. Without these additions, the vinyl in your fence will not be anywhere near as strong as it could be. Impact modifiers are special polymers added to the vinyl that make it more ductile, or impact-resistant. Vinyl made without impact modifiers is extremely brittle, which causes it to break easily when it’s hit. In contrast, vinyl produced with impact modifiers can absorb the energy from an impact better. In effect, the vinyl is “springier” and tends to bend or bounce rather than break. UV protectants are also very important for vinyl used in fences. Because your fence is outside all year, it is exposed to a great deal of UV radiation from the sun. When coupled with our long Texas days, vinyl without UV protection starts to fade quickly. In contrast, vinyl fences made with UV protection additives can keep their original color and finish for many years, despite constant exposure to sun and rain. Plus, any fading that does eventually occur will be slight and uniform, making it almost impossible to notice. Compare the performance of vinyl to wooden fences, and the advantages of using vinyl are clear. Vinyl made with impact modifiers and UV protection is extremely tough, even in the face of wind, hail, and blown or falling debris. It doesn’t warp in the sun or rain, it doesn’t fade over time, and it doesn’t need to be painted or treated. In contrast, wood breaks easily and needs regular comprehensive maintenance to keep its appearance and functionality. Vinyl is clearly superior in nearly every way. At Future Outdoors, we fabricate our own vinyl to only the highest standard. Our vinyl products include fencing, gazebos, pergolas, and other shade structures, and they are all produced using the highest grade of PVC vinyl, as well as high-grade impact modifiers and UV protectants. What’s more, because we produce our own vinyl, we can easily create custom fencing and shade structure solutions that match what you want exactly. If you need a new fence for your home, pool, or ranch, do yourself a favor and take a look at a vinyl fence from Future Outdoors. We’re the number one vinyl fencing contractor in northern Texas, and we’d love to bring our expertise to your project. Contact us today, or follow us on Facebook and Google+ for updates or special deals.